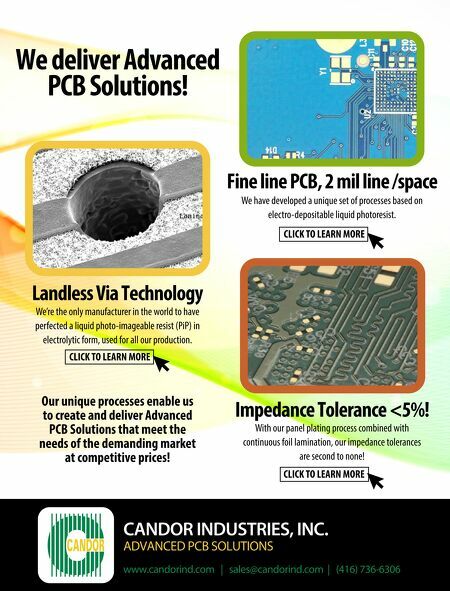 We deliver Advanced PCB Solutions! 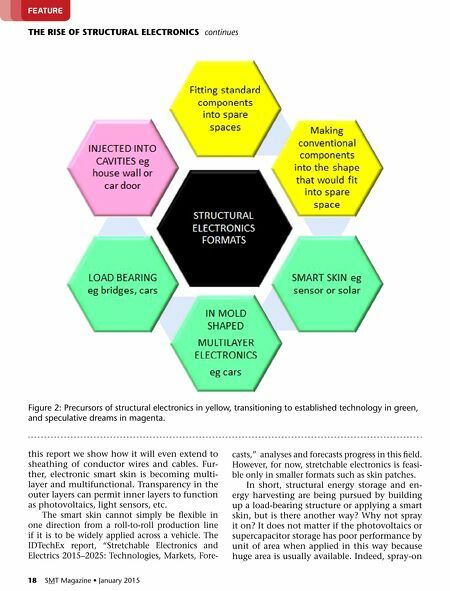 Landless Via Technology We're the only manufacturer in the world to have perfected a liquid photo-imageable resist (PiP) in electrolytic form, used for all our production. CLICK TO LEARN MORE With our panel plating process combined with continuous foil lamination, our impedance tolerances are second to none! Impedance Tolerance <5%! CLICK TO LEARN MORE Fine line PCB, 2 mil line /space We have developed a unique set of processes based on electro-depositable liquid photoresist. CLICK TO LEARN MORE CANDOR INDUSTRIES, INC. ADVANCED PCB SOLUTIONS www.candorind.com | sales@candorind.com | (416) 736-6306 Our unique processes enable us to create and deliver Advanced PCB Solutions that meet the needs of the demanding market at competitive prices!